The first change to the poker lobby is a new facelift and we think it's looking better than ever! 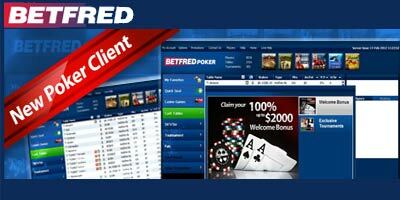 Betfred have also introduced some brand new features that are sure to improve players' online poker experience. Find details here. Everything now looks cleaner, slicker and more visually appealing. If players are looking for cash games, Sit n' Go tournaments or even account information - they will have what they want in a flash! New Loyalty Plan - Starting 1st of AprilThe third change to Betfred Poker is a new loyalty plan, their aim is to drastically improve and enhance the rewards. On April 1st they have launched the Betfred Award Point, this will be implemented alongside the new loyalty plan. It will work in a way that the players will be credited bonuses as they play, the more they play, the more they earn! When Betfred new loyalty plan is introduced it will be much more straightforward to cash in the points for a variety of different bonuses and awards. The more you put in, the more you get outFinally from the 5th of March, the rake at Betfred cash tables will be calculated according to "weighted contribution" as a part of their new and upgraded VIP system. The higher players contributes to a raked pot, the more points they will receive. Additionally players on EUR and GBP tables will receive more points per rake. 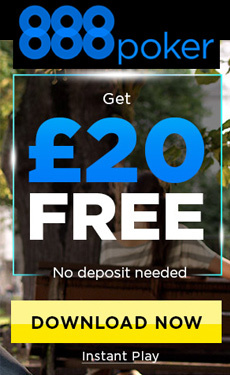 "Betfred Poker launches new lobby: a lot of new features and promotions"